The 2019 World Cup is just four months away. Teams are rotating players, trying new strategies and probably doing everything they feel would work for them in the mega event. As a precaution, certain teams are not allowing their key players to participate in the full season of the IPL as it finishes just days before the biggest tournament in cricket. The 2019 World Cup will witness numerous modern-day greats facing off against each other in an attempt to win the coveted trophy for their country. Here are five star bowlers who can become the leading wicket-taker in cricket's premier tournament to be held in England and Wales. In this age of wrist spinners, one fast bowler who is giving them a really tough competition is New Zealand's Trent Boult. He has been exceptional with his performances in the last 2 years. He swings the new ball both ways, reverses the old one and has the ability to bowl yorkers whenever needed. He deserves a lot of credit for the success that his team has had recently. He has been able to overshadow his bowling partner Tim Southee, who himself is a very fine exponent of swing bowling and yorkers. His recent performances in UAE suggest that he doesn't need supportive tracks to pick wickets and that he has found a way to pick wickets on dead tracks as well. Conditions in England are very similar to that in New Zealand which further adds to his advantage. 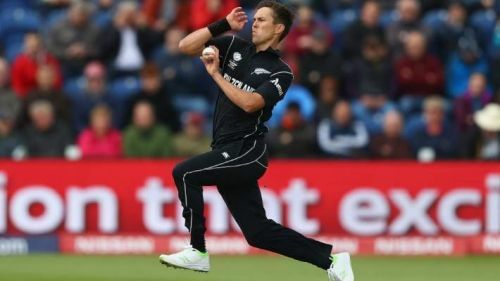 He along with Tim Southee, Matt Henry and Ish Sodhi form a very formidable bowling line up and the supporters of the Black Caps around the world would hope that this bowling group comes to fire in the all-important World Cup.